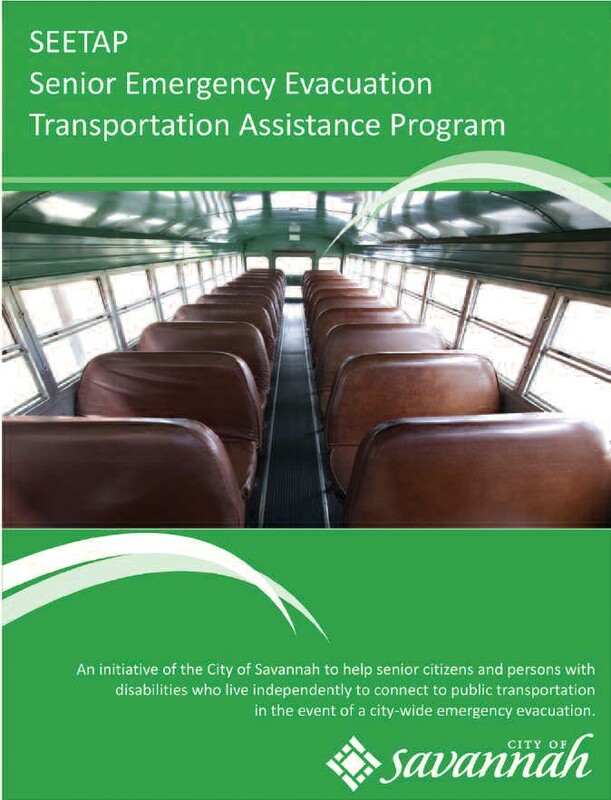 The City of Savannah has created a new program to assist seniors and those with minor disabilities who might otherwise get left behind during an evacuation. We are now urging these residents to call 3-1-1 to register, and are asking the general public for help in identifying these individuals. The City’s Senior Emergency Evacuation Assistance Program (SEETAP) was created this year to help seniors and persons with disabilities who live independently, but no longer drive, have no one who can drive them, and cannot get to a nearby bus stop for a ride to the evacuation center. To qualify, individuals must live in the City and be able to ride a standard bus and provide their own care at an emergency shelter. The Chatham County Health Department already has a registry for persons with special medical and care giver needs. Interested persons can call 3-1-1 to be included in the registry, and are urged to do so as early as possible, well before an evacuation order. The City will follow up with each person to get additional information to determine eligibility. Residents are asked to reach out to neighbors they believe may qualify. The City is working with all neighborhood associations to help identify these individuals as well. The application can be found on the City’s Web site at savannahga.gov, or by calling 3-1-1.